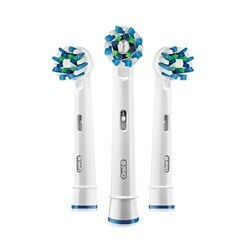 The Oral-B PRO 1000 electric toothbrush features the professionally inspired CrossAction toothbrush head. 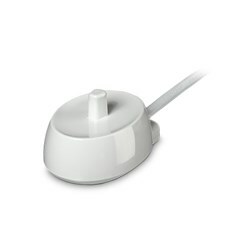 The round head is designed mainly for a tooth-by-tooth clean, and its criss-cross bristles are set at a 16-degree angle to reach deep between teeth, to lift and power away up to 300% more plaque for a superior clean vs. a regular manual toothbrush. 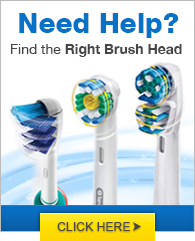 The professionally inspired design of the CrossAction brush head which surrounds each tooth with bristles angled at 16 degrees. 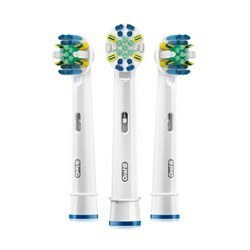 The 3D cleaning action oscillates, rotates and pulsates to break up and remove up to 300% more plaque along the gumline vs. a regular manual toothbrush. 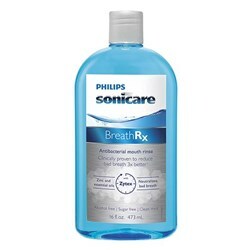 A helpful on-handle timer stutters every 30 seconds to informs you when it's time to focus on brushing the next quadrant of your mouth. 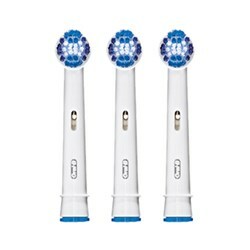 The electric toothbrush also helps to alert you when you have brushed for the dentist-recommended time of 2 minutes. 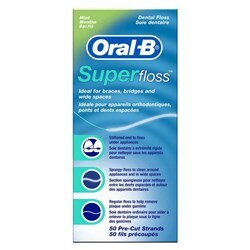 The Oral-B Pro 1000 has many exciting features for users of all types. 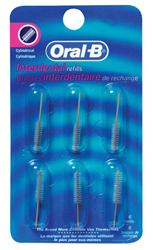 You can extend the lifetime of your Oral-B Pro 1000 with the purchase of a FactoryOutletStore Factory Protection Plan. 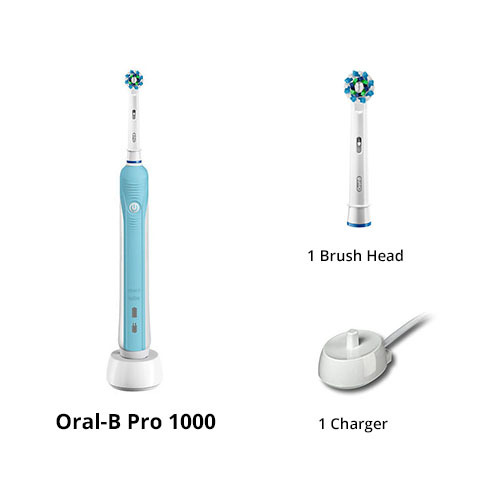 See the Oral-B Pro 1000 gallery images above for more product views. 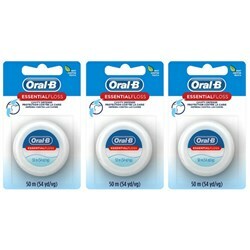 FactoryOutletStore stocks a full line of accessories like BreathRx Antibacterial Mouth Rinse, BreathRx TongueScraper, and BreathRx Whitening Toothpaste for the Oral-B Pro 1000. 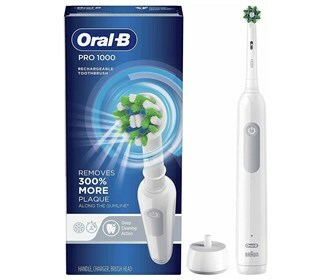 The Oral-B Pro 1000 is sold as a Brand New Unopened Item. 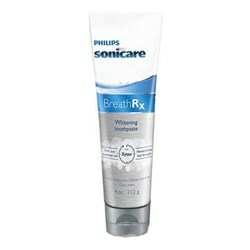 I've had a Sonicare electric toothbrush and the Oral-B seems to be much better. 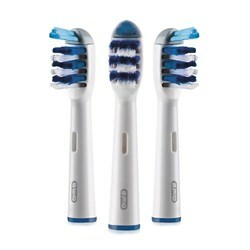 My teeth are cleaner, because the device and brushes seem to work better between and around my teeth. 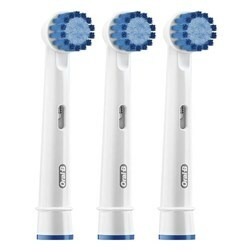 If the product gives me more then two years service it will beat my old Sonicare in durability too. I love this product! I bought, I think 20 of the Pro 1000. One for each of my family for Christmas. I was disappointed as the order said there would be a good rebate, but it was much less than it said. Of course, being Christmas presents, I gave them and realized then the rebate was not what the advertisement had been, so just gave them anyway. 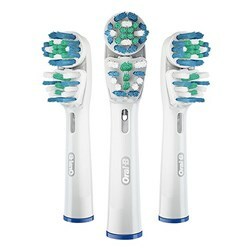 Now, I am looking to buy replacement heads for these toothbrushes.....I am looking for the same heads they came with. Any suggestions?